1998? Can it really be? 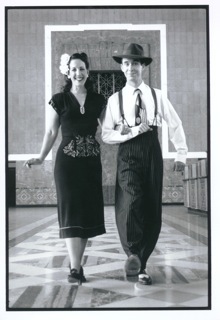 The years of scrapbooks and newsletters that fill this website only begin to open the floodgates of wonderful happy memories that have been brought to me through this swing dancing life. When I think back over the years, I see one constant image -- that of the smiling faces of the dancers in our swing dance community. Thousands of faces... each smiling as they dance through these years. It's been a great ride so far! 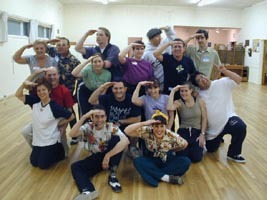 It was back in May of 1998 that I was asked to teach a weekly Wednesday swing dance class at Point 705 in Hermosa Beach. It was one of those fateful stories... right time right place... just deciding to go out the front door making all the difference. I had come back to America, after a two-year stint dancing with Simon Selmon in Europe, and was out dancing one January in 1998 at the world famous Derby. 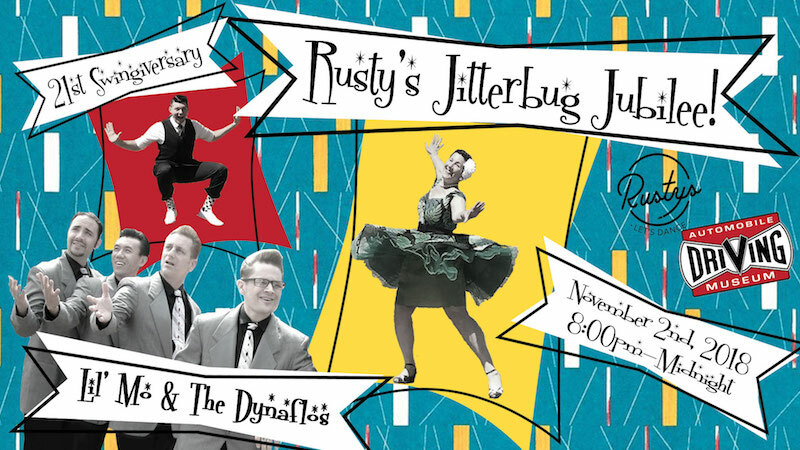 At this time, swing dancing was riding the crest of the resurgence wave of popularity, and the Derby was packed nightly. Magician Brian Gillis was there with a group of friends. We had some super fun dances, and he took my card with the idea of taking private dance lessons with his girlfriend. Jump forward some months. I get a call from Brian, "My friends are opening a new restaurant and want to have a swing night. I told them about you... ya wanna teach a class there on Wednesdays?" 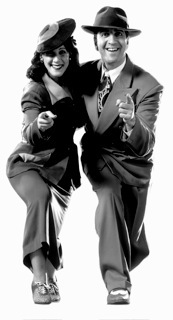 Well, the rest, as they say, is now swing dance history. I had since teamed up with Peter Flahiff, and he and I hosted the weekly dance there until we moved to the Elk's Lodge in Playa Del Rey in 2001. During our first months at 705, people repeatedly asked us to start some on-going lessons. Our first location was Episcopal by the Sea (thereby getting our name, Lindy By The Sea). We later moved to The Neptunian Women's Club, and then to our current location, Rebekah Lodge in 2003. Peter moved on to other swing dance activies at the end of 2002. Ron Campbell and Giovanni Quintero joined the teaching team at the start of 2003. Then Gio moved to Japan with his wife, and I was joined by Ted Stanley in 2014. 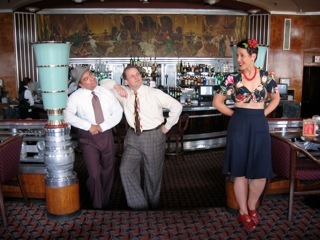 The years have flown by with these three delightful, talented, and often zany gentlemen of swing. How many people have passed through the doors of Lindy By The Sea and the Rhythm Club? Literally thousands. And they keep on comin' through these doors.